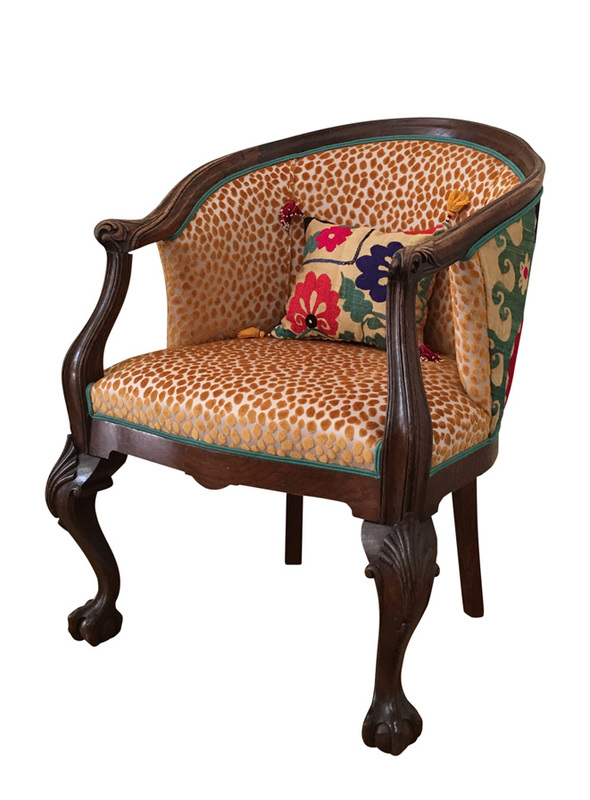 Chair Fergana is an English Bèrgere chair in George II style (1727-1760) with typical cabriole legs. 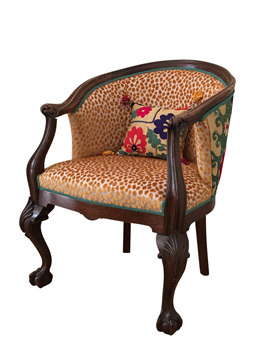 The front of the chair is upholstered with a new fabric Tupai from Lorca. 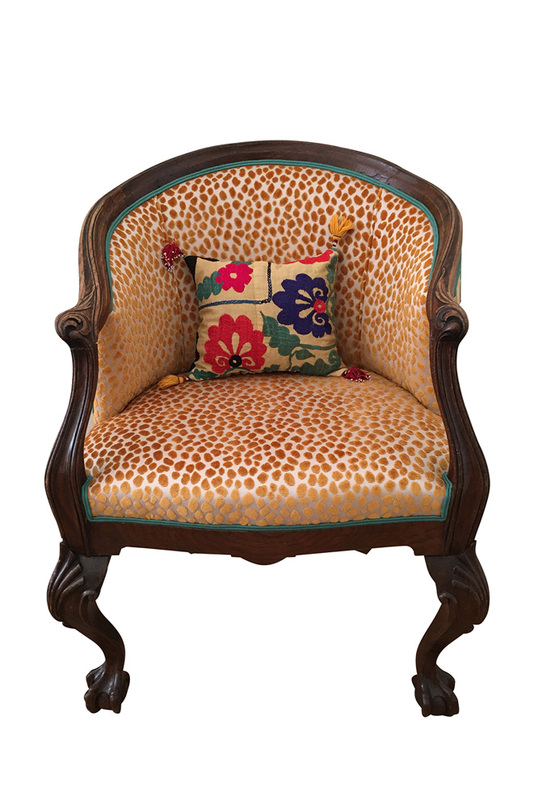 The back of the chair is upholstered with a vintage Suzani. Suzanis are embroidered pieces of cloth made in the region of Central Asia. They are an important part of a girl’s dowry. 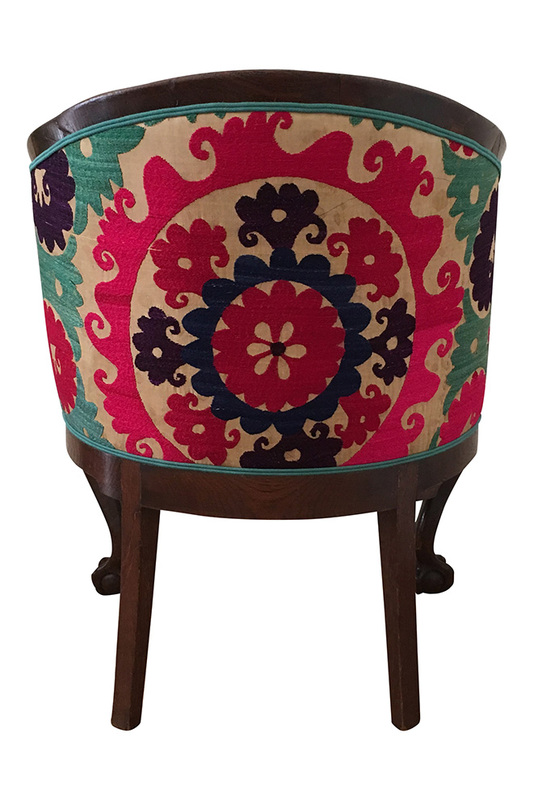 The suzani used at the back of Fergana shows flower motives. 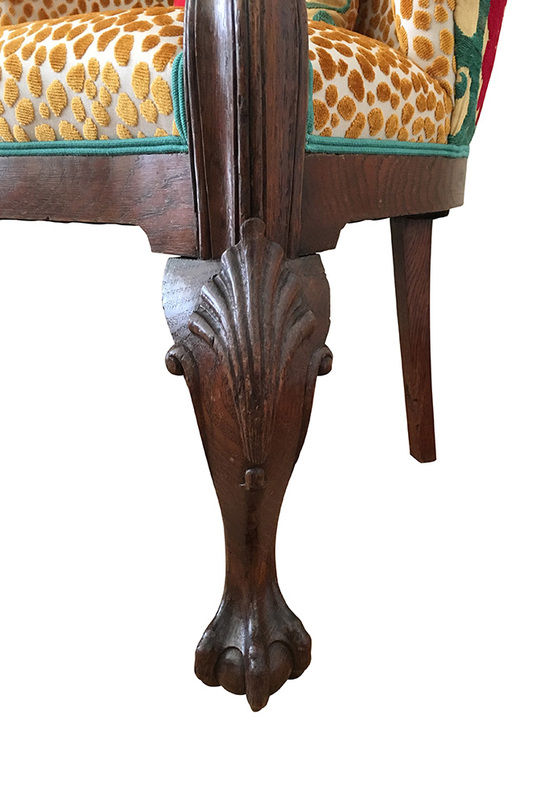 Most people believe that the flower motives are symbols of fertility and prosperity.